Australia’s top-tier cancer body has called for an independent review of the world’s most well-known herbicide, which has been linked to non-Hodgkin’s lymphoma. As this development shows, the already considerable problems of chemical giant Monsanto are continuing to mount. The company’s troubles reached a new high in August this year when it was ordered to pay $289m damages to Dewayne Johnson, a former school groundsman in the U.S., who said working with herbicides containing glyphosate had caused him to develop cancer. With glyphosate having previously been cited by the World Health Organization’s International Agency for Research on Cancer as being “probably carcinogenic to humans”, the U.S. court ruling effectively ‘blew the lid’ on Monsanto’s decades-long campaign to deny the health dangers of its ‘Roundup’ product. 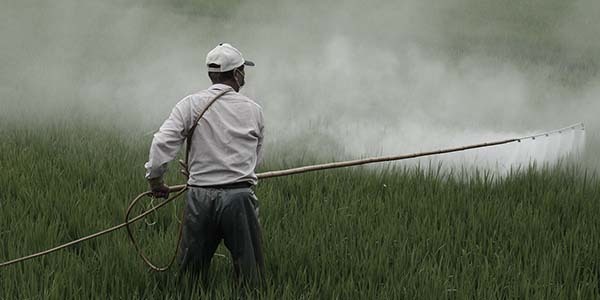 With a further 8,000 lawsuits now lined up whose claimants are similarly saying using glyphosate-containing products caused them to develop cancer, the outcome of the Dewayne Johnson case could potentially have set an important precedent. Moreover, it also provides a major headache for pharmaceutical and chemical company Bayer, who completed its $63 billion purchase of Monsanto back in June. From the perspective of its shareholders, at best Bayer now faces years of legal wrangling. But for health-conscious citizens everywhere, this will doubtless be seen as a cause for celebration and a potential step towards a safer food supply and a cleaner, healthier environment.